Technical Support Analyst II who loves to troubleshoot and fix problems. Would like to get more into the Network related side of things. Location Requirements: Ideally in Center City or northern suburbs of Philadelphia, PA.
Interview Notes: Currently working as a Technical Support Analyst II. 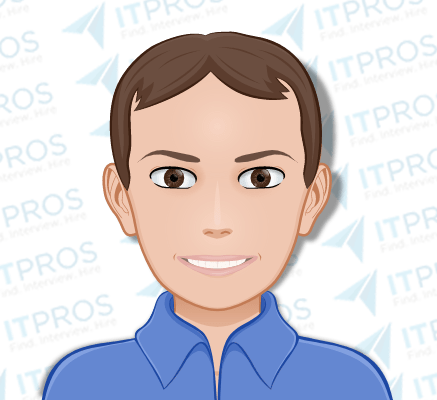 Works on secure file transfers, troubleshooting email and firewall issues, exchange server troubleshooting, producing documentation, liaising between the Tier 1 and Systems and Networking teams, and other general Tier 2 responsibilities on a daily basis. Works with XenApp, virtual/remote desktop access, Cisco hardware and software. Position has been changing recently due to an acquisition and some changes in management and the team structure. He previously would handle up to 40 tickets a day, but typically now handles just between 10 to 20. HIs career goal is to work towards becoming a network admin or network engineer. Education / Certifications: Cisco Certified Network Associate (CCNA) and coursework in Network fundamentals, routing protocols & concepts, LAN switching & wireless, accessing the WAN.